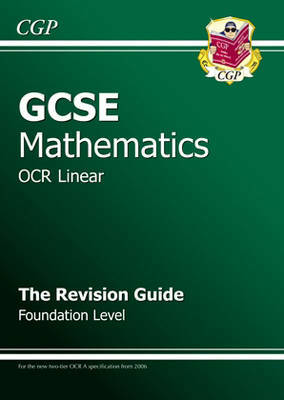 This updated and refreshed version of CGP's bestselling Revision Guide is the ideal companion to GCSE Maths - it even includes a free online edition that can be used wherever you have internet access. Every topic from the Foundation Level OCR A & B courses is explained in a concise, friendly style, with a sprinkling of CGP humour to keep things interesting. Grade information is included to show the difficulty level of each topic, and there are summary questions at the bottom of each page to test you on the important skills. And finally, a unique code is printed in the book that gives you access to the free online digital version (which also includes fully worked answers to all the test questions in the book).